Features a contemporary look. 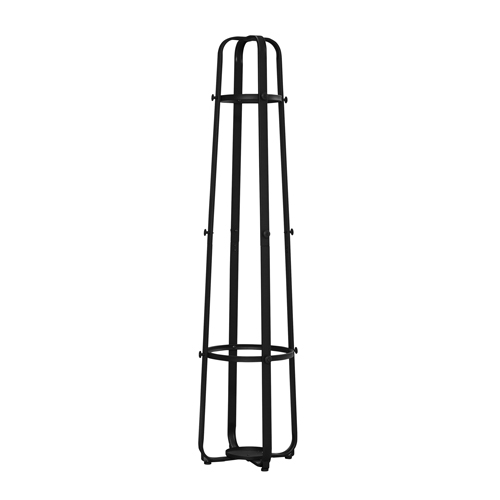 Heavy base for perfect stability. Stylish and functional. Includes five coat knobs. 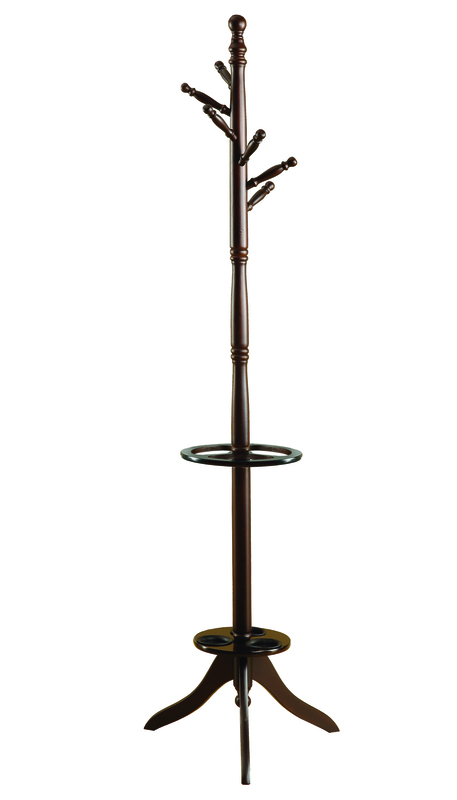 Integrated umbrella stand with water retainer. 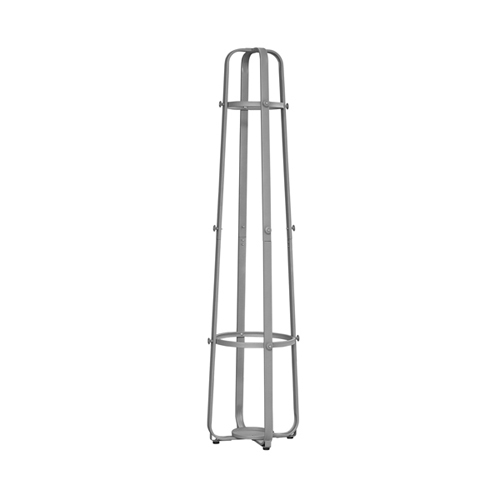 Mounting: Stand Alone; Width: 14"; Depth: 14"; Height: 73 2/3". Time-saving design assembles in minutes without tools. 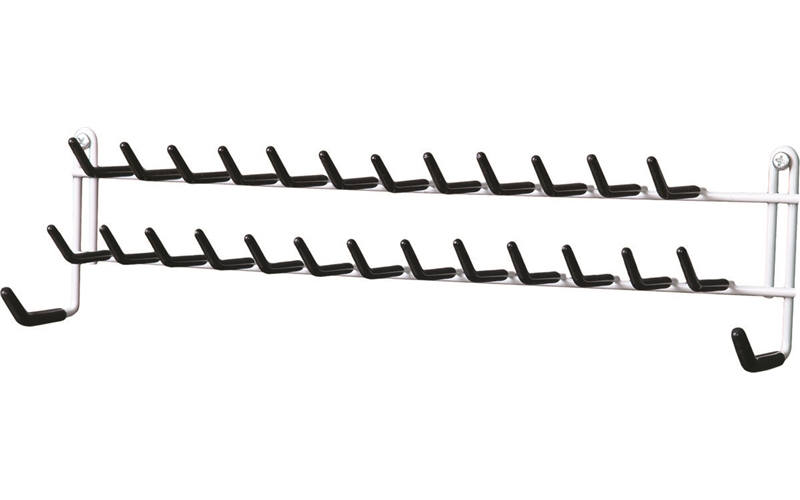 Strong welded wire construction that allows air circulation and helps reduce dust buildup. 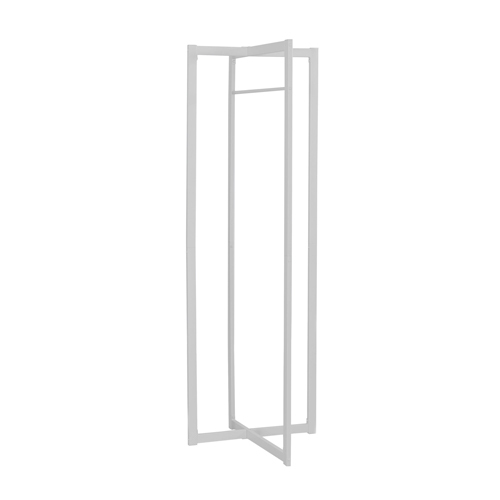 Double-sided for quick access to items. 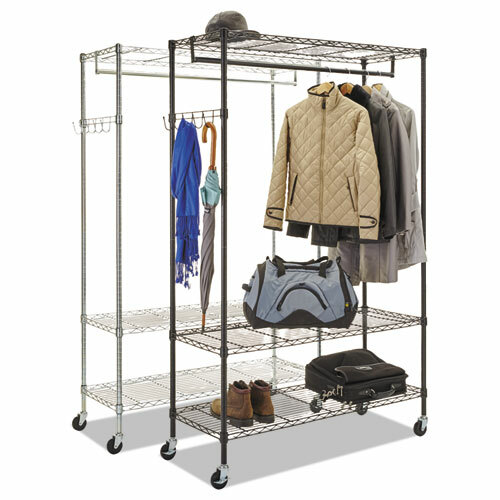 Rack features four ft. hanging rod for garments, five support hooks for umbrellas, bags, and other items to accommodate your needs. 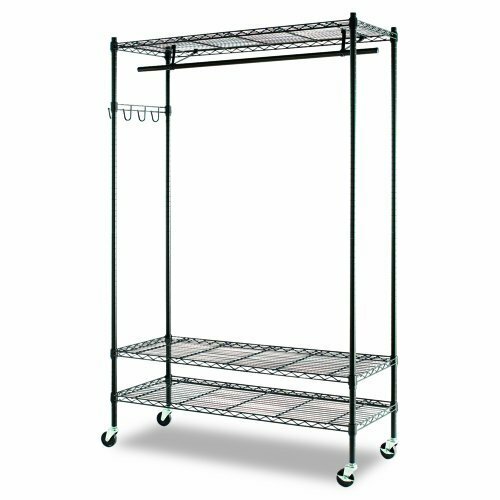 Three shelves adjust in 1" increments and support 400 lbs. on each shelf. 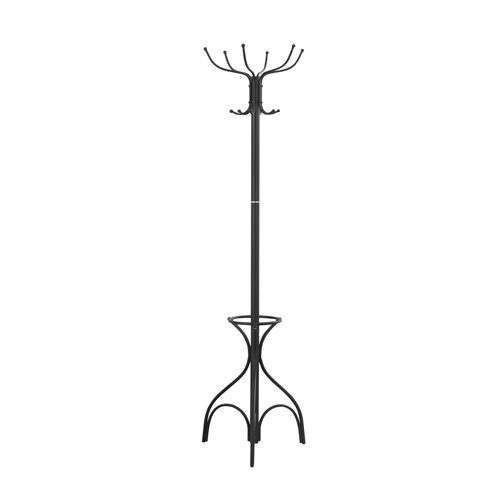 Four casters for quick mobility and two lock when it has reached your destination. Total unit capacity is 500 lbs. if used with casters. Hangers not included. 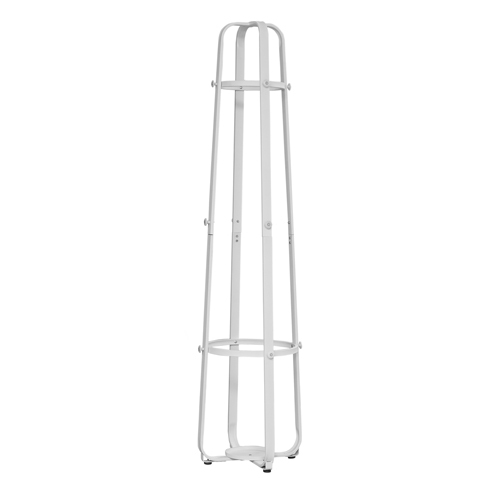 Mounting: Stand Alone; Width: 48"; Depth: 18"; Height: 75". 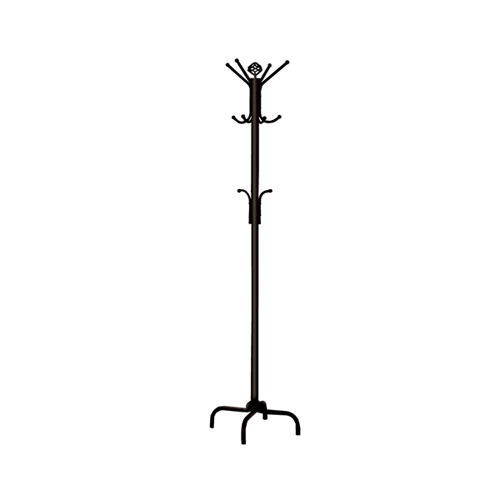 This contemporary coat rack offers a unique look with all the functionality you would expect to help organize your living space.The multiple hanging pegs allow you to keep your coats, jackets and hats organized and all in one place, while the base conveniently stores your umbrellas. 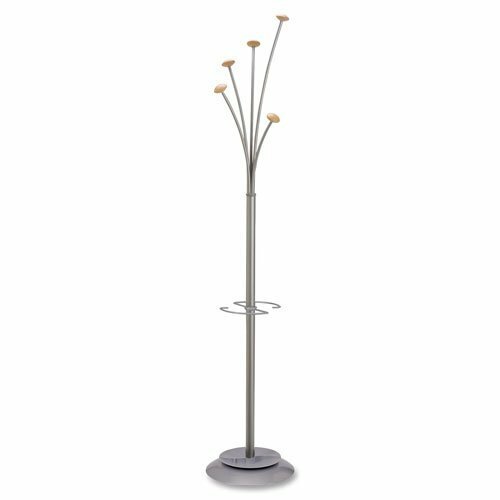 The sturdy metal construction paired with a silver finish makes this updated modern spin on a classic design a must have for any home. 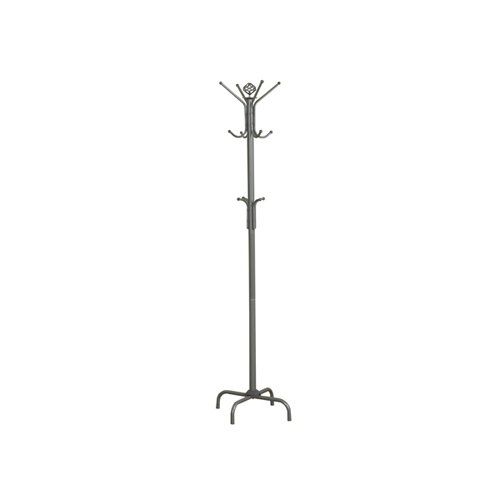 This contemporary coat rack offers a unique look with all the functionality you would expect to help organize your living space.The multiple hanging pegs allow you to keep your coats, jackets and hats organized and all in one place, while the base conveniently stores your umbrellas. 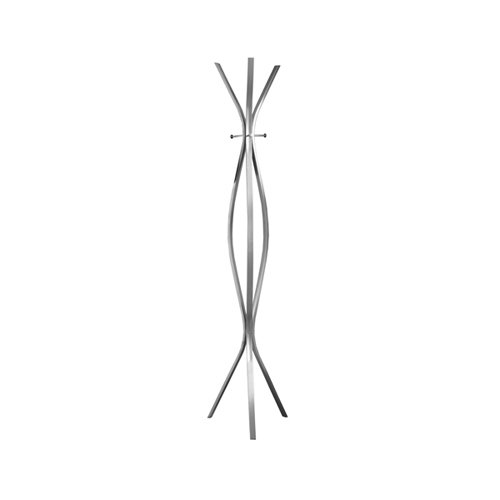 The sturdy metal construction paired with a white finish makes this updated modern spin on a classic design a must have for any home. 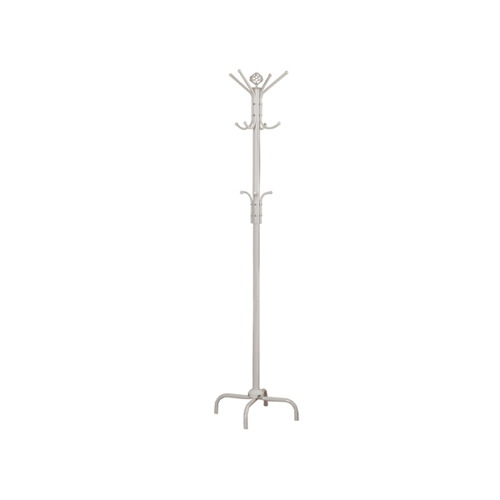 Bring fashion to your home with this unique white metal coat rack. 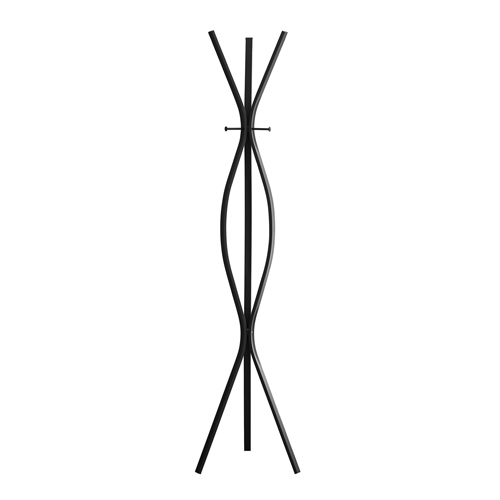 With a geometric design and ample storage to hang coats, scarves, sweaters or hats, this modern coat rack will help keep you organized in style. 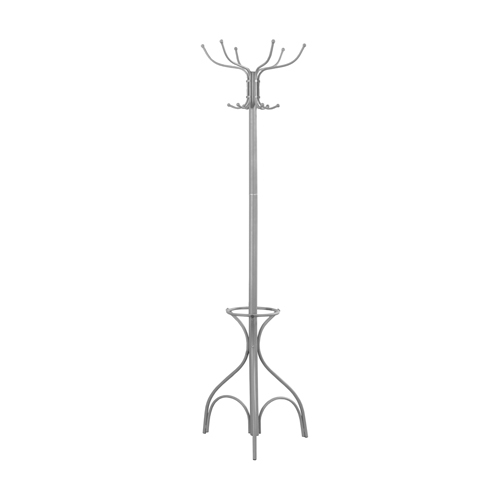 Bring fashion to your home with this unique silver metal coat rack. 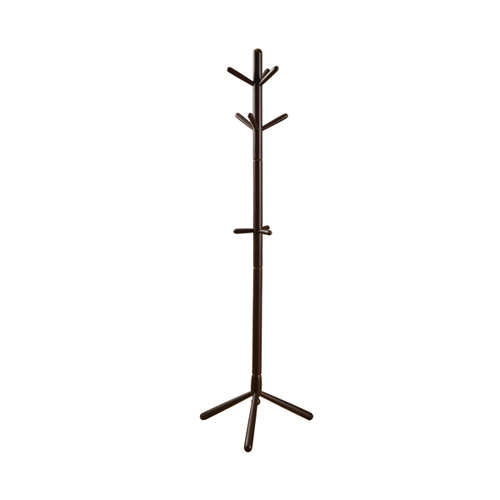 With a geometric design and ample storage to hang coats, scarves, sweaters or hats, this modern coat rack will help keep you organized in style. 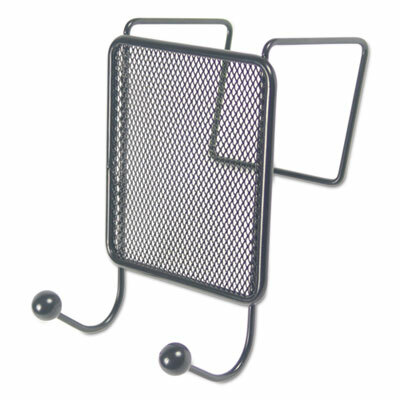 Wire mesh double coat hook. 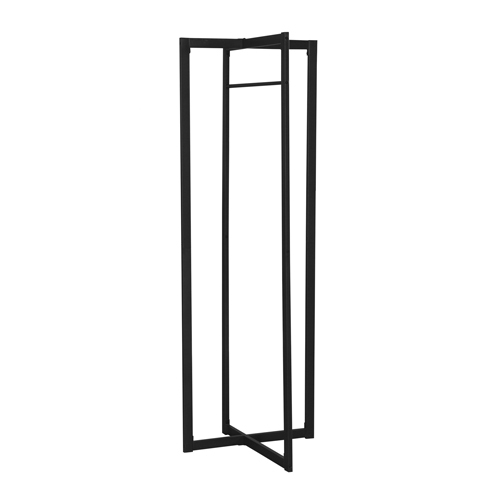 Mounts on panels, partitions, and doors. 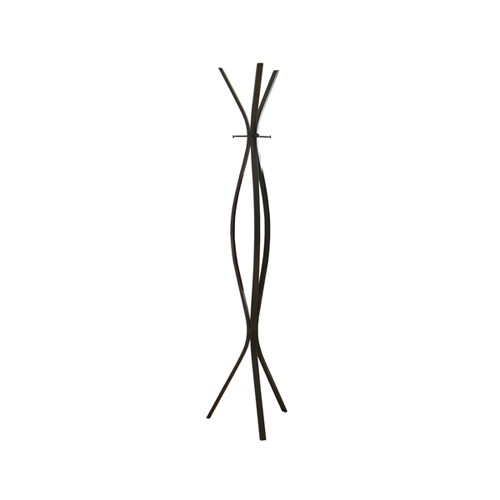 Sturdy wire construction holds heavy coats, umbrellas and bags. 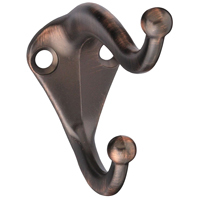 Round knob end hooks will not snag or damage garments. 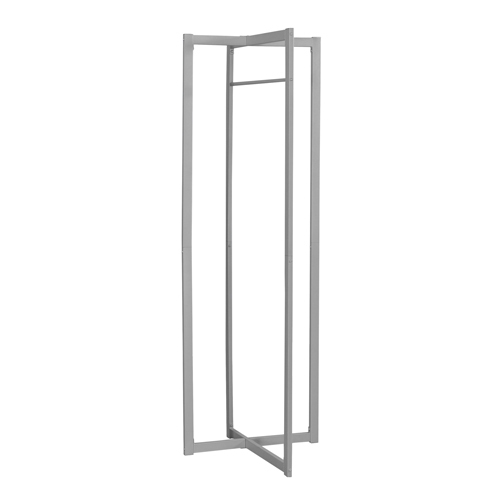 Coordinates with Universal� Wire Mesh desk accessories. 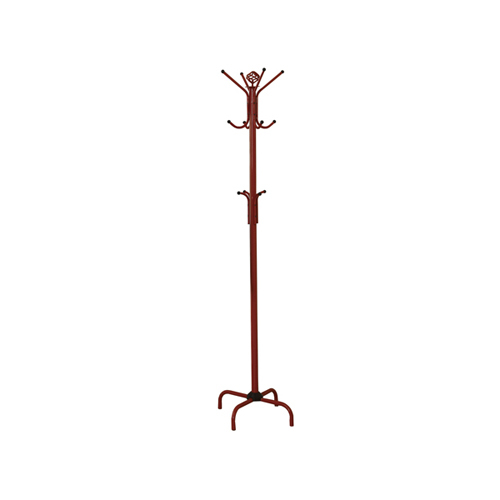 Panel Accessory Type: Double-Sided Garment Hook; Width: 4 1/8"; Depth: 5 1/4"; Height: 6".